Last week I read a post by Blissfully Brunette that shared 5 of her favorite blog posts from the month of September. We’re quickly approaching the season of giving, so why not give the gift of good reads? Despite all the blogger myths and stereotypes, let me tell you one more time that blogging isn’t easy. Therefore, as part of the blogging community, it’s my job to help spread the love by sharing some of my favorite (October) blog posts. On top of this being one of my favorite lines from Solange’s “A Seat at the Table”, I just love a good post about consciousness. You’d have to be living under a rock (like I wish I was sometimes) to not know about the nerve-wrecking current events. However, pretending like issues don’t exist makes you part of the problem. Everyone should use their platforms responsibly, and even us free-spirited artists, should be held accountable. Because avocado is bae, and I’m always hungry. This recipe looks doable for people who don’t spend much time in the kitchen…like myself. In the words of the great Erykah Badu, “I’m an artist, and I’m sensitive about my sh*t”. The rise of social media made it easier to get exposure, AND easier to be criticized. Read this if sharing your work makes you anxious, or if you’re in a creative rut. Let me take this moment to also thank Monika for introducing me to the #DoItForTheProcess hashtag. I do believe everyone should travel for the experience and culture, but I don’t support criticizing others who haven’t had the opportunity. Yep, Courtney called out the travel-shamers, and I’m here for it. It is possible to be helpful without forcing your beliefs on others. You bought a round-trip ticket this month instead of an iPhone? Good for you! Now spend time on your trip being thankful for the privilege, instead of worrying about the “competition”. If you’re too embarrassed to admit how much time you spend on your phone or computer, read this. Being present is easier said than done for a lot of us. Working for the weekend, taking care of our loved ones, documenting everything on Snapchat– can all distract us from being present. Dave’s post is for all of us who struggle to stay “in the now”, or in need of advice on how to start. 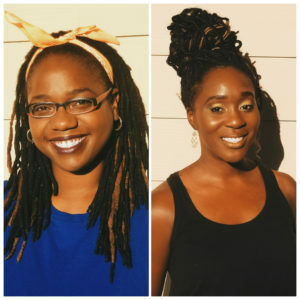 What are some of your favorite blog posts, or bloggers, these days? Drop a link or name in the comments for me to check out! Aww thank you for the shoutout! Yes, our avocado aioli recipe is PERFECT for the lazy girl in the kitchen haha! My pleasure! I can’t wait to try it! Thank you SO much y’all! I really appreciate it. I hoped I wasn’t snapping too much in the post but whew, travel shaming gets on my nerves! lol Lots of love. Nope. You good. You poppin. Haha. Thank you for being honest! That’s so great of you to spread the love to fellow bloggers! 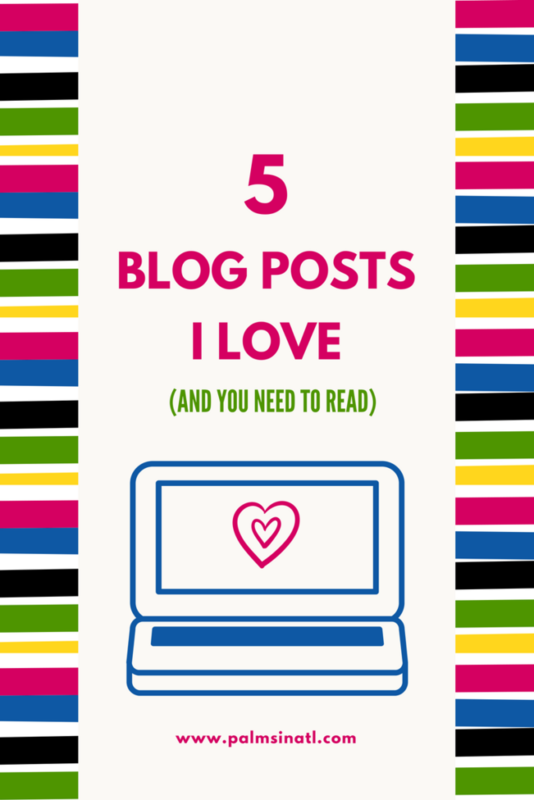 All of these sound great and show a lot of variety in your blog reading habits! I’m a big reader, so my favorite go-to blog is Modern Mrs. Darcy. Check it out if you love books! Thanks for sharing! I think I’ve recently read a few of Modern Mrs. Darcy posts, but I’ll definitely check. Thank you for reading! All great articles and love the blogging love you shared! Thanks for the suggestions! I am always down for reading some inspirational blog posts! Great read.